When you travel out on that lonely dusty road from town to town in the wild west, your body begins to take inspiration from your surroundings, your skin begins to turn the tanned color of the baked sand with speckles of black or brown from the burnt rocks spotting the perfect canvas of flatland. On a less poetic note the mustaches of all the great gunslingers take on the rolling journey of the tumbleweeds, continuing to curl forever in a spiral. The longer that facial hair gets, the longer you know this man's been without a decent bath and night's sleep. Now that the modern times have rolled in and the mighty railroad has finally reached both coasts, we need not worry about distant, monotonous travels all by our lonesome. We also don't get to have our mustache curl out of inspiration from a dead bush rolling through the desert either. 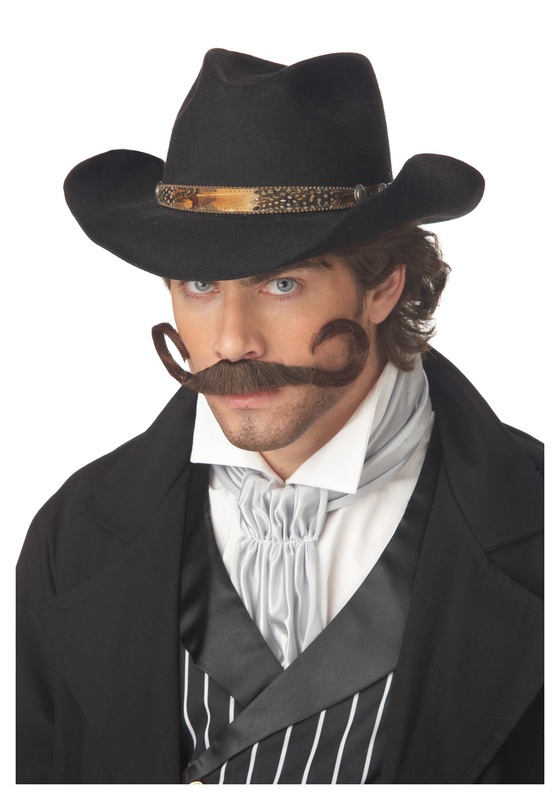 Instead we just head to our favorite costume merchants online and snag the bushiest, curliest one they've got. What a time to be alive!